Here’s two bridges with character. 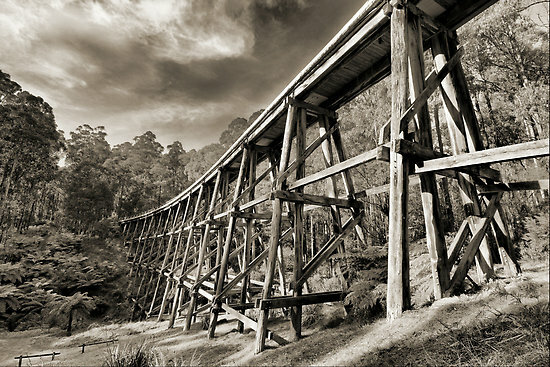 Both images were taken using HDR techniques to enhance the details on the wooden surfaces of the bridges. The images were then converted to a weak sepia to enhance their character and lift them out of their surroundings. Don River Bridge at Panton Gap, Victoria, Australia. This entry was posted on June 15, 2008 by Jim Worrall. 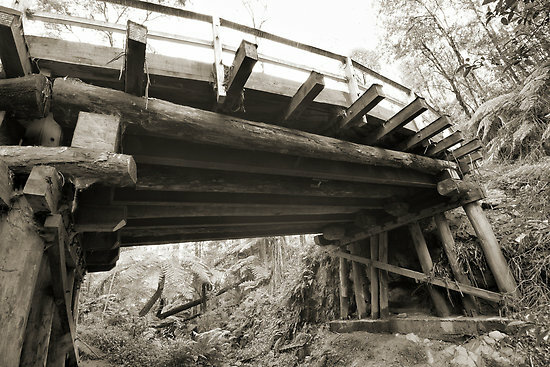 It was filed under bush walking, HDR, landscape photos and was tagged with art, Australia, Australian, bridge, bridges, monochrome, Noojee, old, Panton Gap, photographer, photography, photos for sale, pictures, trestle, wooden.